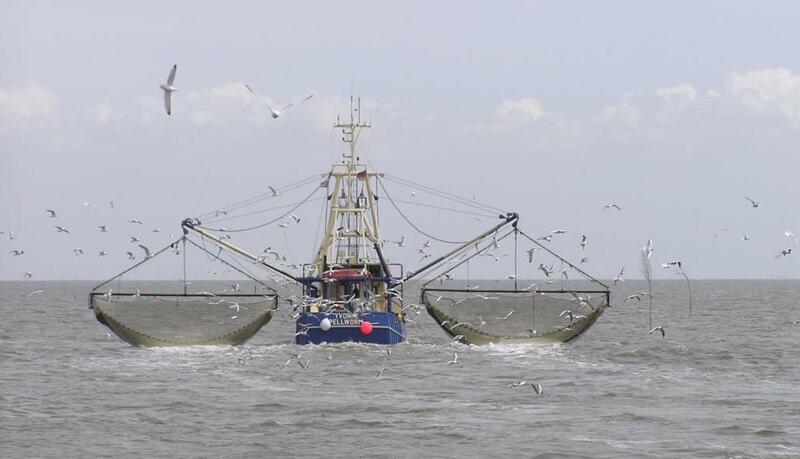 A trawler fishing in the North Sea. Jom/Wikimedia. Creative Commons. I was a very keen remain voter in the European Referendum. But I can very much understand why others voted to leave. Fishing communities are top of the list of leave voters for whom I have sympathy. I can understand why people living in places devastated by the Common Fisheries Policy voted to leave. Theresa May’s decision to continue the UK’s membership of the Common Fisheries Policy is another Tory sell-out of those fishing communities devastated by Tory policy in the 1980s. During the 1980s the UK government, under Margaret Thatcher took a strategic decision to focus the UK economy on finance, and on developing the city of London. In Europe this meant trading away the rights of fishing communities to safeguard London’s status as the financial capital of the world. All of the larger countries in Europe did this for different parts of their economy. Germany protected its manufacturing and let Frankfurt’s status as a financial centre fade. France protected its small farmers. Spain prioritised its fishing communities, and so on around Europe. While the European Union has done much good, its record on fishing is pretty dire. The Common Fisheries Policy meets neither the needs of our fishing communities, nor does it protect our fish stocks. Allowing massive trawlers from all around Europe to come and fish out our waters does us no good, it does our environment no good, and it is a situation no one should support. The European approach to fishing played a major role in Norway’s and Iceland’s choice to stay out of the European Union. Norway, in particular has developed an approach to fishing that has allowed its fishing communities to thrive while preserving its stocks. Now is the time for us to learn from that approach, which may allow both the regeneration of our fishing communities and the regeneration of our fishing stocks. While the UK government is very active in Europe protecting the interests of big finance – vetoing regulation that might help to recover taxes being avoided by big business, it often fails to attend vital meetings on fisheries. The UK government showed no interest fishing communities it saw as far away from their priorities in the City of London. That’s why selling out fishing came so easy in the current negotiations. My preference would be that Scotland had a seat at the top table in Europe, so we could put the case for a more rational fishing policy. By taking a real interest in fishing we could change the policy approach – having our seat at the table would make that case all the stronger. What the UK Government has left us with is the worst of both worlds: in the Common Fisheries Policy with no say over the Common Fisheries Policy. Being a law taker without being a law maker. As much as I want an independent Scotland with the influence to change the Common Fisheries Policy for the better, the most important thing is that we find a way to improve the lot of our fishing industry. Whatever happens, we need to protect fish stocks and fishing communities. The Norwegian example offers us an avenue we must investigate. That’s something we now know we can’t rely on the UK government to do for us.